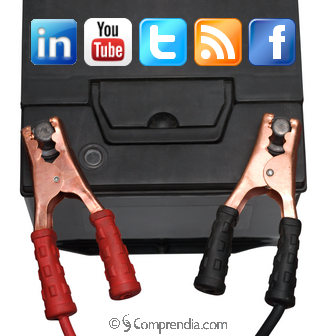 Get a jump start on life science social media strategy and tactics by relying on Comprendia’s unique expertise and networks. As part of our Life Science Social Media Jump Start Service, we will perform a situational analysis of the digital landscape for your subject area, including your competitors’ presence, resources, and influencers that reach your audience. Based on this information, we will develop strategic resources to get a results-driven social media program started quickly. If your company is already implementing social media, or if you are looking for a more comprehensive plan, see our Social Media Charter™ Service and our Life Science Social Media Tune Up Service. Graphics files for avatars, headlines, etc.